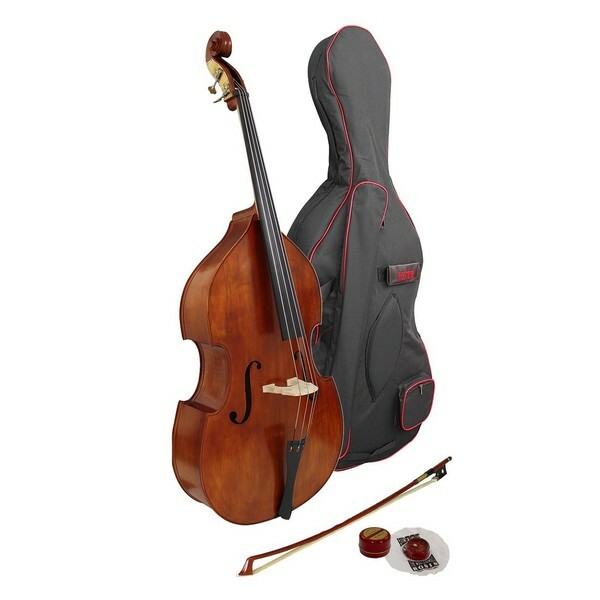 The Hidersine Vivente Double Bass 3/4 redefines all student bass outfits. Perfectly suited for starter bassists, the Vivente will help you get the best possible start. 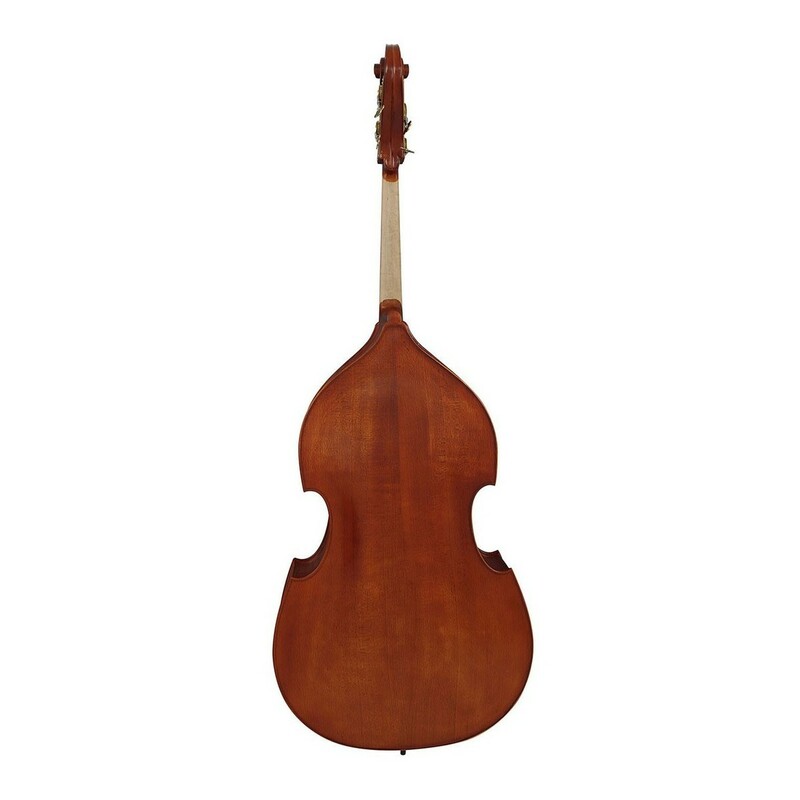 The Hidersine Vivente double bass benefits from having a straight grained spruce top combined with a flamed maple body. These tonewoods enhance the instrument's natural tone while also being aesthetically pleasing. Hidersine's 'Ready to Play' promise means you can buy the Vivente bass with the confidence that it has been fully checked in Hidersine's UK workshop. This outfit includes an octagonal bulletwood stick bow, Hidersine rosin, and a 10mm padded deluxe bag so you can start practising straight away. The Vivente features the traditional set up of a specially slected, straight grained spruce top, or sound-table, combined with a solid back and ribs. Having a good quality sound-table is essential to produce a good tone as this is where the instrument's primary voice is formed. Additionally, as the wood ages, it slowly relaxes to its natural state, improving the tone even further. The solid seasoned maple body is enhanced by a graphic flame finish which provides a similar look to a professional Italian instrument. All Hidersine instruments have been inspected and setup up in Hidersine's UK service workshop. 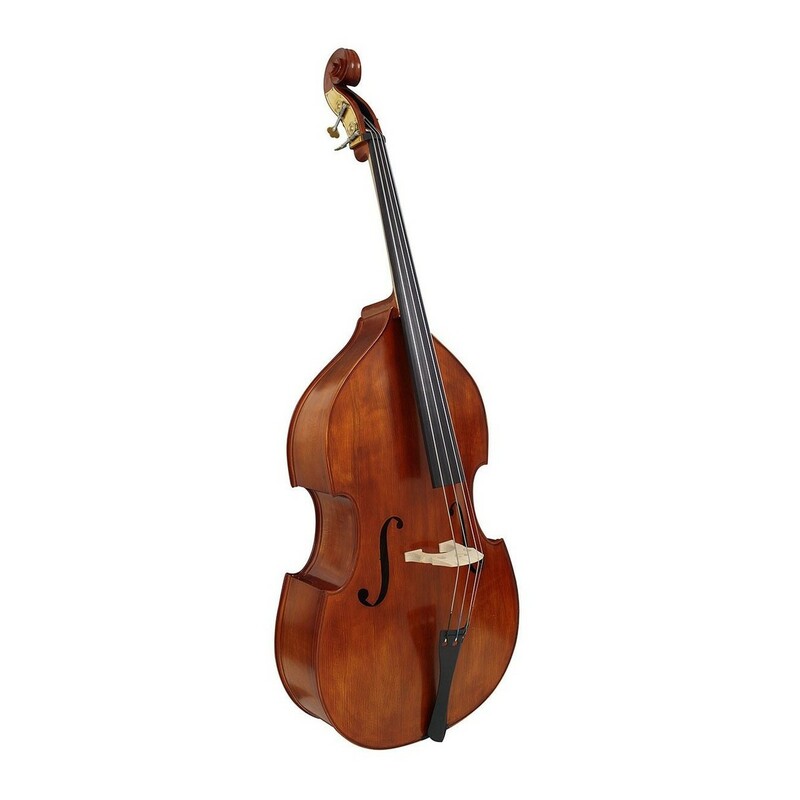 This rigorous quality control enables you to buy your double bass with the knowledge that it's ready to play straight away. 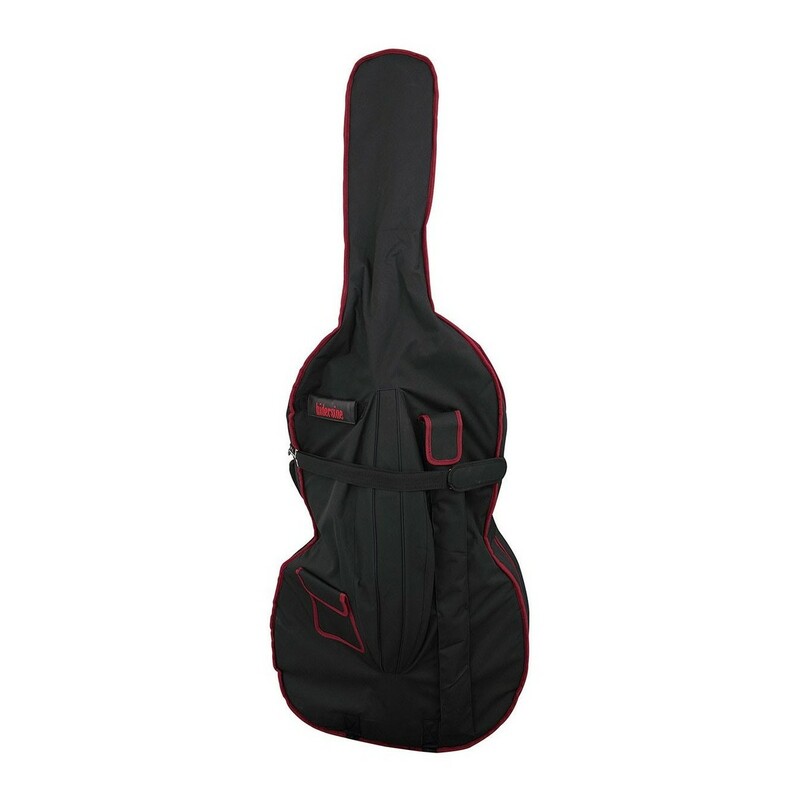 The Vivente bass includes a padded gig bag to protect your instrument while commuting between musical events. The 10mm padding on the inside provides good protection while also being lightweight. The exterior of the gig bag includes a dedicated accessory compartment, bow holder, and a spare pocket for any extras. The quality bulletwood bow has an octagonal shape for comfort, and the included Hidersine rosin enables your bow hairs to stay in good condition. The Hidersine Vivente bass is CNC machined, rather than handcrafted. This means that the outfits have a higher level of consistency than other brands, reducing error margins during the manufacturing stage. This is a great advantage for student instruments, as it ensures a higher quality instrument for the player to learn on. It also enables teachers to know exactly what they are working with.